This was written by Jay Trevaskis who is a teacher in Sydney, Australia. He tweets here and blogs here. This post was originally found here. I used this image in one of my classes earlier this year and thought I’d struck gold. 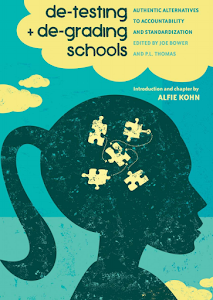 I actually had but, sadly, the school “system” quickly tarnished it and gave me clearest indication that school, which is intended to increase our students desire to learn, in it’s institutionalized form can actually do the opposite. I’ve been encouraged to use stories and stimulus materials to pique the student’s curiosity and to use the stories behind the pictures to challenge their thinking and actions. As the Olympic games were bearing down on us, we were doing a unit in our elective sports science class about “Issues in Sport”. 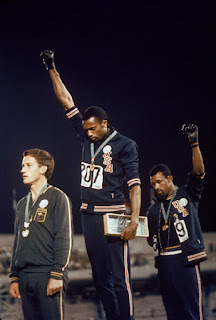 I thought I’d use this famous image of the 1968 Olympic Games 200m Podium to discuss the place of sport in society and whether their is a place for protests in sport or at the Olympics. It was slow to get started but with a little bit of prodding the students really got going, they were calling out the things they observed and others were writing down ideas they were hearing from other students, they were asking me lots of questions and I just told them to record all the questions they had. They’d wondered why they were wearing gloves, why they had no shoes, why were they facing the way they did, what was the badge they were all wearing and plenty more. Once the observations and questions started to dry up, I shared with the class the key details: that it was a picture taken at the 1968 Olympic Games after the 200m Sprint. Once the students had this they were then able to go and find answers to the questions. The next 20 -30 mins was some of the most enjoyable moments of my teaching year. Some of the students had found footage of the race and were watching it, others were finding answers to their questions. All 18 students were ‘hooked’. They were calling out the answers they found “The two Americans were banned from going to the Olympics again. Why was that?” Good question, write it down was my response. “Peter Norman never represented Australia again after this either. Why wasn’t he allowed to compete? He didn’t make the salute.” Good question, write it down. This went on for the remainder of the lesson. It was pretty to watch. I didn’t have my class for another 3 days. As they came in, again I had the same picture on the wall. The immediate response from most students was “What? Are we still doing that?”. The break had killed their enthusiasm and curiosity. It had drained all momentum that had been built as we worked toward talking about why human rights were important enough to these athletes that they’d risk being banned from competition and why an Australian who wasn’t living amongst the racial tensions of the USA at the time would stand up for the same thing. Or what we’d be willing to stand up for? It made me realise it must be so frustrating for students to go from one lesson to the next regardless of where they are up to. To be fully immersed in a learning experience and have to stop, pack up and move to another lesson and start again. I’ve got no answers to make it right other than to say that it’s broken. So much of our schooling is institutionalised and constructed to fit in the “timetable” to make it easier for teachers to work but how much of what we do is set up to make it easy for the students to learn and enjoy learning? As someone who doesn’t have the power to change things, I can only ask the questions. I don’t even have a solid answer to my own questions really, but it’s becoming clearer how much of what we are doing is actually making it hard for students to grow in their love for learning. I just wanted to comment that I too feel the same way! Unfortunately I have no ideas how to fix it either. 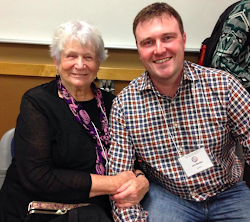 I loved your learning engagement and the way you provoked them to think and be curious. That is truly what we are supposed to be doing as educators and I applaud you for reaching that height. I hope someday soon that concerned teachers like you and I will finally talk to the "right" people to solve this unfortunate instutionalization of our school systems. Until then, I'm with you in theory! Great example. Would a longer period have helped? I work in a hign school with nine 40 minute periods - students' brains are shifting gears multiple times per day and are never allowed to focus for an extended time. Montessori education! Your students can explore this until it is completely exhausted. No time tables, changing subjects, or preset curriculum. Check out Hershey Montessori's High School (http://www.hershey-montessori.org/adolescentCommunity.cfm) or The Montessori High School at University Circle (http://www.montessorihighschool.org/) for private schools and Clark Montessori (http://clark.cps-k12.org/) and MacDowell Montessori (http://www5.milwaukee.k12.wi.us/school/macdowell/) to see how it works in public schools. It is the way learning happens. Thank you for posting a solution...I agree that something like Montessori or even some of the Unschooling philosophies would address this. More of a child-led approach. Frankly public schools cannot be fixed without the entire system being changed. This sadly will likely prevent change from being seen in my lifetime. The development of any nation is possible only by education If a nation have skillful person like should i pay someone to do my essay Doctors, Engineers and scientist then the nation will be enable to run with the present world.